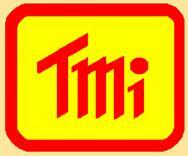 LCR Inductance & Capacitance Meters | T.M.I. LCR Meter, 100Hz / 120Hz / 1Khz / 10KHz / 100KHz, Professional, 19,999 / 1,999 counts dual LCD Display. Serial/Parallel modes, Smart Auto, RS232/USB Output. Portable 4 wire, 4 Bins comparator. L, C, R, Z, D and Q Measurements with 0.3% Basic Accuracy. Capable of Low Dissipation Capacitance Measurements. LCR meters and impedance meters measures inductance (L), capacitance (C), and resistance or impedance (R). Instruments used for LCR measurements are built as universal and multifunctional devices. They enable automatic (triggered or cyclic) measurements of L, C, and R as well as other parameters such as quality and dissipation factors. Instrument type, measurement specifications, test signal or source characteristics, and other measurements are important parameters to consider when searching for LCR meters and impedance meters. Additional specifications that are important to consider include user interface options, display options, additional output options, general features and functionality and environmental parameters. Instrument types include hand held, portable, and fixtured or permanent. General measurements that are important to consider when searching for LCR meters and impedance meters include resistance or impedance range and accuracy, capacitance measurement range and accuracy, and inductance measurement range and accuracy. Resistance or impedance is the opposition that a device or material offers to the flow of current, equal to the voltage drop across the element divided by the current through the element. Also known as electrical resistance. Also called impedance, parameters are Z or Rac. A capacitor is a system of two conducting electrodes, having equal and opposite charges separated by a dielectric. The capacitance, C, of this system is equal to the ratio of the absolute value of the charge, q, to the absolute value of the voltage between bodies as: C= q/v.The unit of capacitance, the farad, is a large unit; practical capacitors have capacitances in microfarads, nanofarads and picofarads. Self-inductance is defined as the relation between current (i) flowing through the coil and voltage (v) measured at its terminals. Also the property of an electric circuit or of two neighboring circuits whereby an electromotive force is generated in one circuit by a change of current in itself or in the other. One Henry (1 H) is the inductance of a circuit in which as electromotive force of one volt (1 V) is induced, when the current in the circuit changes uniformly by one ampere (1 A) per second (1 s). Test signal or source characteristics that are important to consider when specifying LCR meters and impedance meters include basic accuracy, number of digits displayed, number of steps, test signal or frequency range, and response time. Basic accuracy is the typical value at 1 kHz. The number of digits displayed refers to the number of digits on the readout. Number of steps in the measurement is important to consider. The test signal frequency range is the frequency range at which the instrument operates. Response time is the amount of time it takes for the LCR meters and impedance meters to make and display measurements. LCR Meter, 100Hz to 10KHz, Professional, Backlight, Sorting Mode.19,999 counts dual LCD Display. Serial/Parallel modes, Smart Auto, RS232/USB Output. 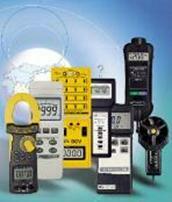 LCR Meter, 100Hz to 100KHz, 6000 counts, DCR Mode, DC Measure Function, dual LCD Display, Data Hold. Serial/Parallel modes, Ls/Lp/Cs/Cp with D/Q/θ/ESR .